To promote the launch of Adobe's new Creative Suite 5.5 Design Standard, we developed this illustration with the crew at Goodby, Silverstein & Partners. 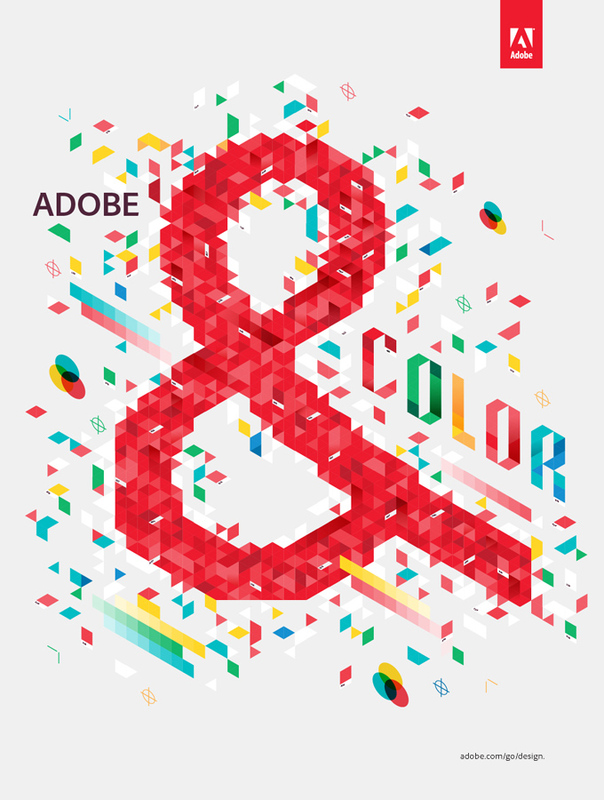 The idea of the campaign is that the latest Adobe edition is the perfect partner for every aspect of the design process. We were given the design aspect of "Color" and thus a visual party of isometric pantone chips and printers marks ensued.